One example of that is my lack of cleanliness. I'm sure supermom's house is always clean. or care to do anything about it. To be honest cleaning is just not on my radar. I don't notice dust until it's an inch thick. I never think to scrub my bathtub or clean the inside of my sink. There is no such thing as a cleaning schedule in my life. It's more of a clean up before we have people over kind of schedule. Luckily we have people over a couple times a week otherwise I'm scared to think what my house would look like. And my sewing/craft room is a constant disaster. It never stays tidy very long. You can usually spot 3 or 4 half finished projects on it at a time. Most of the time I don't even bother cleaning that room when people come over. I just close the door. And not just my house suffers from my lack of organization. This is a snapshot of my computer desktop. 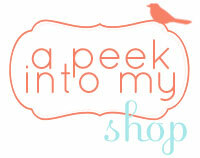 Filled with pictures I used on my blog, ideas I don't want to forget, recipes and other goodies. And my inbox suffers the same fate. There are 293 emails in my inbox either waiting to be respond to, deleted or moved to a permanent folder. He loves things to be in their place. 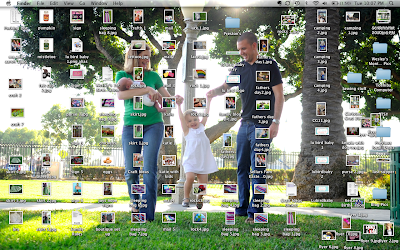 Can't stand a messy desktop or full inbox. Organizes all of his books, CD's, and DVD's in alphabetical order. You didn't know people like that existed did you? Before I met Aaron I didn't. It's funny how opposites attract huh? but most of the time we fill in each others gaps. Organized and neat or the other? I am so glad to know that my sewing room isn't the only one like this! It's the first door I close if I hear the doorbell!!! I fall in the "other" category (just like you!) My craft "room" is in the basement, so it doesn't get seen often. I'm the type to feverishly clean up before someone comes over, so don't surprise me!!! Oh - my craft space looks like that right now too! 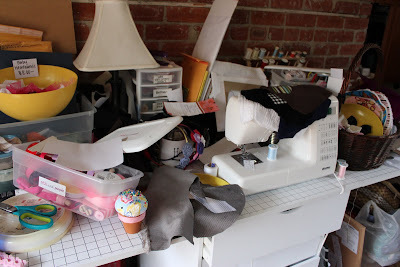 My sewing/craft room is a mess right now...and it is driving me nuts! I am an organized/neat freak...but I am trying to let go and enjoy the mess at times! I used to be a neat freak. Now I'm a wannabe neat freak. I used to organize my books, cd's, movies and everything alphabetically too. Now I have 4 kids and I can't even walk through a room in my house without tripping over stuff. My kids don't know what to do with themselves in a clean room. I decided there is too much pain and agony to go through to get a neat house these days. It will have to wait till the kids are a little older. 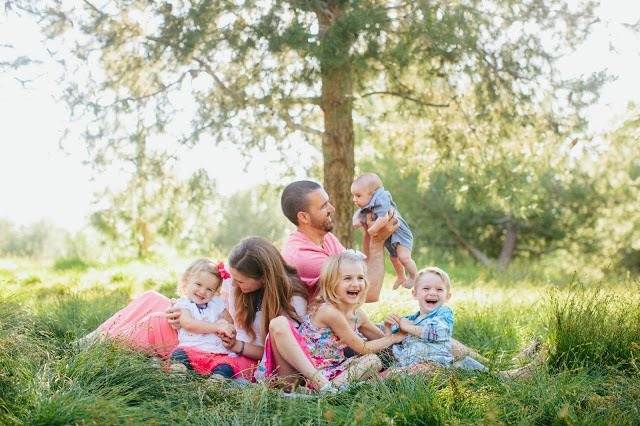 As for my husband, he could care less unless it gets in his way or he can't find something.